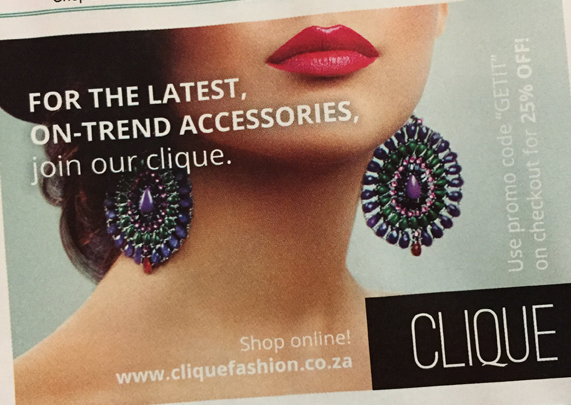 Advert design series for accessories brand, Clique, which ran recently in local glossies. 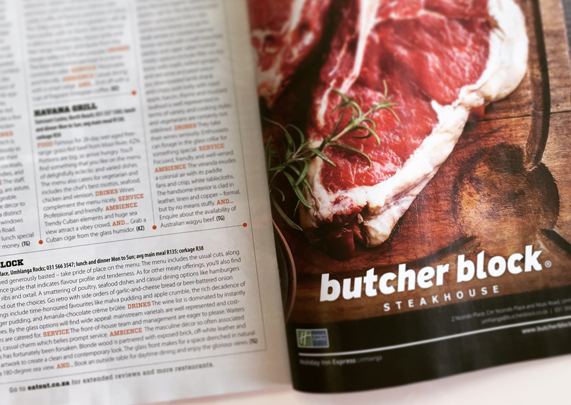 Full page in Eat Out magazine’s 2015 “The Eat Out 500”. 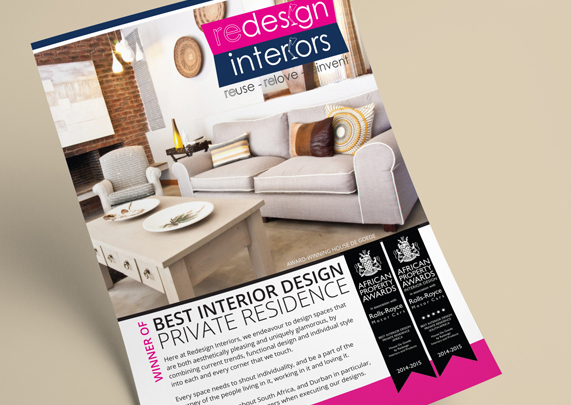 Redesign Interiors exhibited at Decorex 2015 and needed something to hand to potential customers. Rubio designed their flyer and wrote the copy. 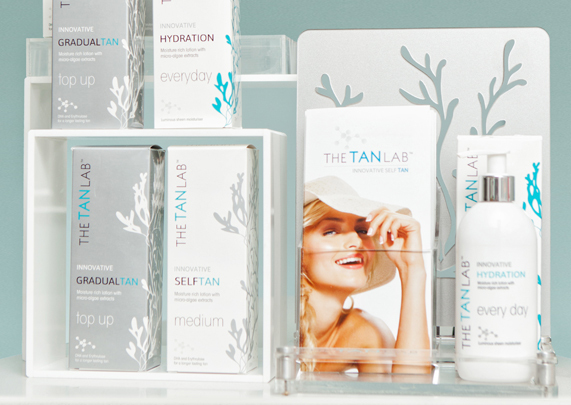 One of the most exciting projects that Rubio has had the opportunity to work on is the brand build of The Tan Lab. Rubio designed the logo, corporate stationery, website, packaging and all marketing collateral.